Being judgmental is easy and especially so when it comes to the story of Jermain Taylor. Heck, prior to his first loss to Kelly Pavlik he was touted as the poster child for all that is good about boxing. From his superb amateur record to someone who beat the legendary Bernard Hopkins in consecutive fights in 2005, accolades came his way. He was upbeat, happily married, polite, humble, the beloved pride of Arkansas, and sought-after as someone who willingly gave gracious interviews. But things would later go downhill and rapidly at that. The superlatives were eventually replaced by charges of domestic abuse, aggravated assault, deadly threats, gun violence, drug possession, and more. The fall from grace was shocking. “Bad Intentions” was living up to his moniker and then some. But why? Was it after the first Pavlik KO? Was it after the devastating and heartbreaking KO to Carl Froch when all he had to do to win was take a knee? Was it after the concussive and frightening loss to Arthur Abraham? Or was it something else, including the result of a brain bleed? Does he have the dreaded CTE? In a disturbing post-fight interview with Steve Farhood following his bout with Caleb Truax — a match that he won but suffered a hard knockdown — Taylor said bizarre things. Incredibly, and after a long layoff, Taylor got a license to fight from the usually strict Nevada Commission and in October of 2014 outpointed Australia’s 40-year-old Sam Soliman for a piece of the middleweight title. Notwithstanding this remarkable achievement, however, there is enough evidence to conclude that he may not be mentally responsible for his out-of-the-ring actions. Three months prior to defeating Soliman he was arrested for a shooting at his home, the first of his many brushes with the law, the most recent of which occurred last week when he allegedly knocked a girlfriend unconscious and threatened to kill her. Shame on the Nevada Commission for increasing the risk, but our criminal justice system also needs to share some of the blame. Jermain has been handled and treated as a criminal—although seemingly coddled at times– when he really is more mentally damaged than criminal. He needs the kind of medical intervention that the Arkansas Criminal Justice System does not seem equipped to provide. He needs help — NOW. The warning signs for Edwin Valero, who committed suicide in prison after murdering his wife, flashed in plain sight but were ignored. 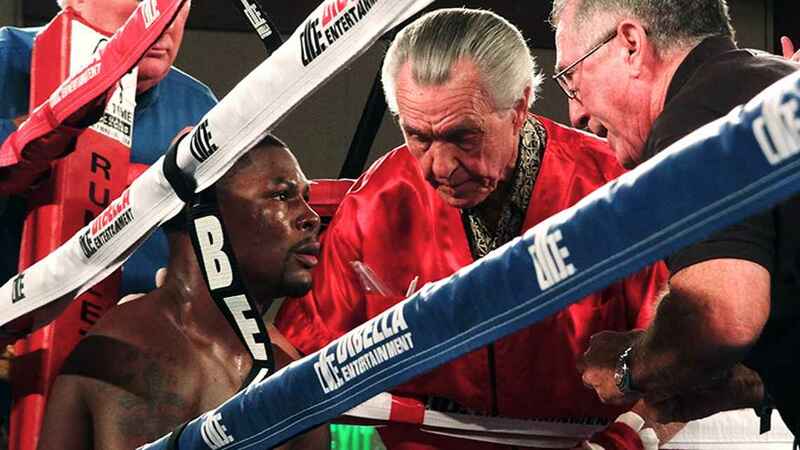 Yes, Jermain Taylor must be accountable for his unlawful acts, but he also must be treated sooner rather than later if another Valero-type ending is to be prevented. Ted Sares is one of the oldest active full power lifters and Strongman competitors and recently won the Maine State Champions in his class. He is a member of Ring 10, and Ring 4’s Boxing Hall of Fame.